What's Your Favorite Affordable Men's Analog Watch? These days, there’s no shortage of gadgets you can strap to your wrist. But smart watches are mostly terrible, and fitness trackers are hideous, so there’s still plenty of room in the marketplace for old school analog watches. Today, we want to find the best affordable men’s model out there. 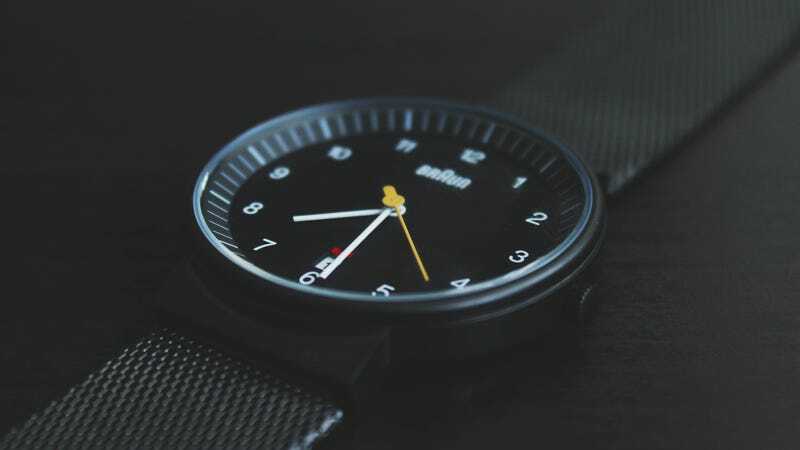 Most watches ship with a variety of bands and finishes, so for the purpose of this Co-Op, we’re looking for watch lines (like Timex Weekender, or Casio MQ24), rather than individual models. So head down to the comments, and nominate your favorite before time runs out. The specific name of the product, not just a brand or series. Why you think this item is the best. A link where the item can be purchased. An image of the item. 4) All nominations should cost $100 or less.